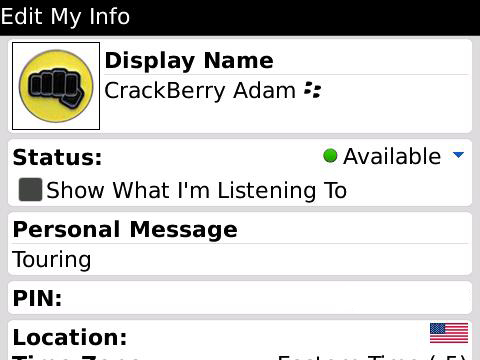 Over the weekend it seems like everyone dropped what they were doing and installed the leaked BlackBerry Messenger 5.0. There were some ups and downs over the last few days - some server issues or installation problems - but most seem to be resolved now. Lets take a quick look at some of the new features in BlackBerry Messenger 5.0 below and roundup some of the most popular forum discussion links. Obviously one of the biggest changes is the new layout/UI (image at top of post). The look has been totally overhauled. You now have the ability to add avatars to users as well. With the new Broadcast Message feature, you can send the same message to multiple contacts all at once. You simply enter the message, select the contacts to receive it and send away. 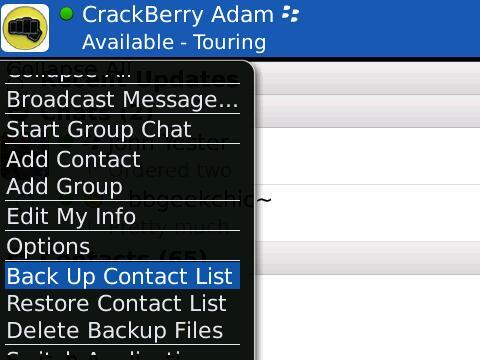 In my opinion one of the best features is the ability to backup and restore your contact list. You can choose to backup the list to your device memory or media card, and restoring it is just a few clicks away. The new user options screen allows you to edit your avatar, change your status, edit location options and more. Adding contacts is easier than before (way easier). You can still add a contact via PIN or email, but now you also have to option of scanning their barcode. 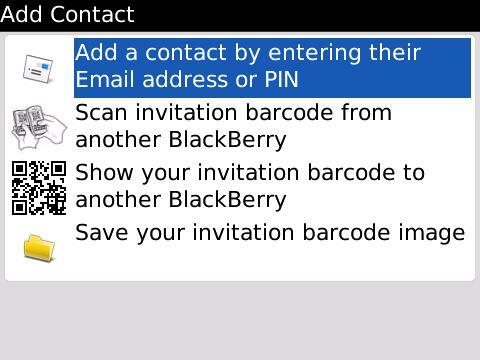 Each user is assigned a unique barcode that allows others to easily add to BlackBerry Messenger. You now have the option to link contacts to your address book. 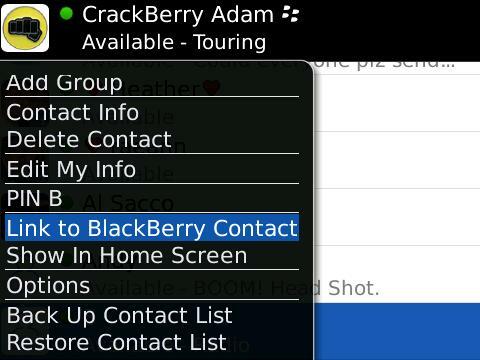 The allows you to sync up your contact information with the user in your BlackBerry Messenger contacts, syncing the PIN, avatar and other info. 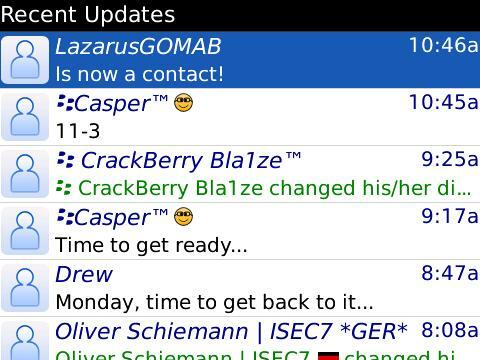 Clicking the Recent Updates bar on the top of the contact list shows your contacts recent activity, who was added, updated status etc. There are other features as well like new emoticons, chat history and most likely some we missed. 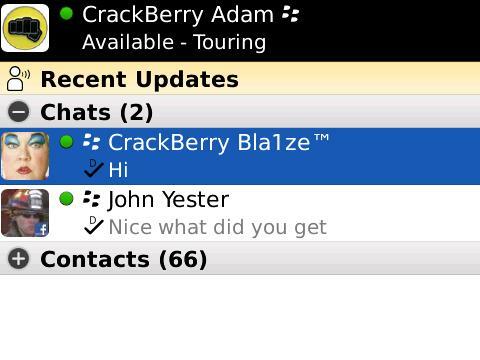 This is just a quick list of the biggest features of BlackBerry Messenger 5.0. Drop a note in the comments and let us know what we missed. 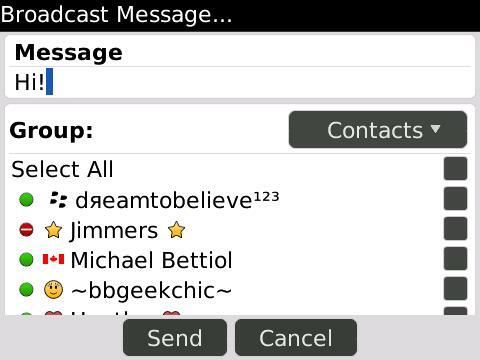 If you are having trouble with the new BlackBerry Messenger and need to uninstall, check out this forum thread: For those that want old BBM, here's how..